Fork Crown Chronicles: Lets see if this works! : Bikes. Rants. Adventures. Fork Crown Chronicles: Lets see if this works! 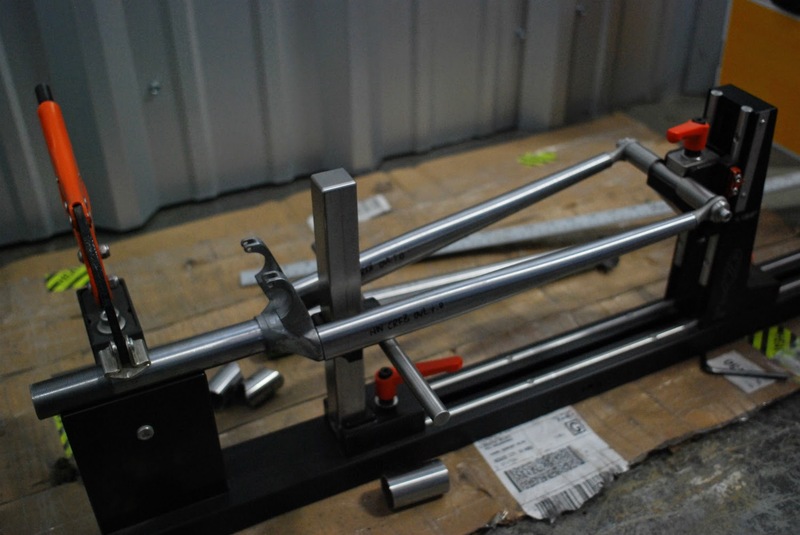 My goal for today was to test the crowns to see if they fit properly in the jig, fit properly with fork blades and a steer tube, and didn't explode when I tried to braze them. The jig test went perfectly, but let me back up a minute. One of the other things I was looking forward to testing was the strength of the steel. I'm used to how the tubing and brass feels when I'm working with it, but I wasn't sure what to expect from the castings. Holy crap, these things are bombproof. This is definitely the hardest material I've ever worked with. Not only does it take an insanely long time to file or sand down (it took three hours to bore out the center for the steer tube...by two millimeters) it also wore out multiple dremel sandpaper things and is pretty much immune to my shop roll. This metal is not messing around - I'm not at all worried about the strength. 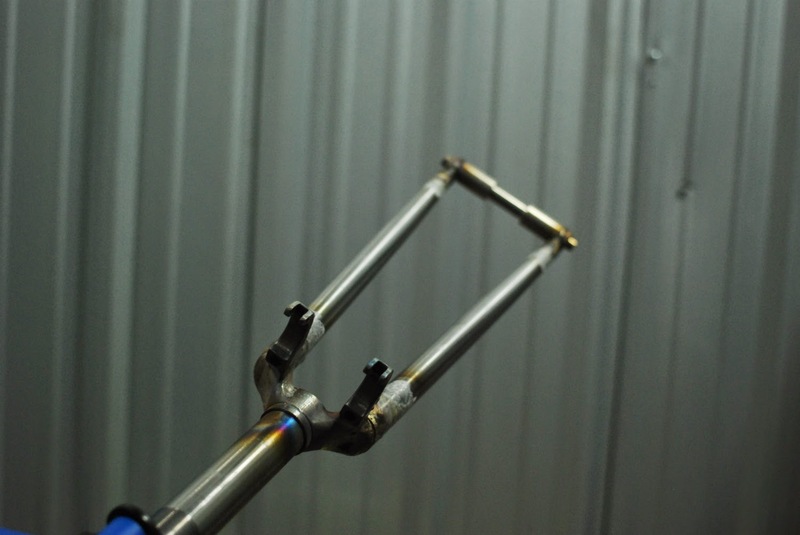 Next was tacking and brazing. Not meant to be pretty, just meant to check capabilities and all that fun stuff. Silver flux is my enemy. The metal brazed well, and despite it's hardness didn't take overly too long to heat up. 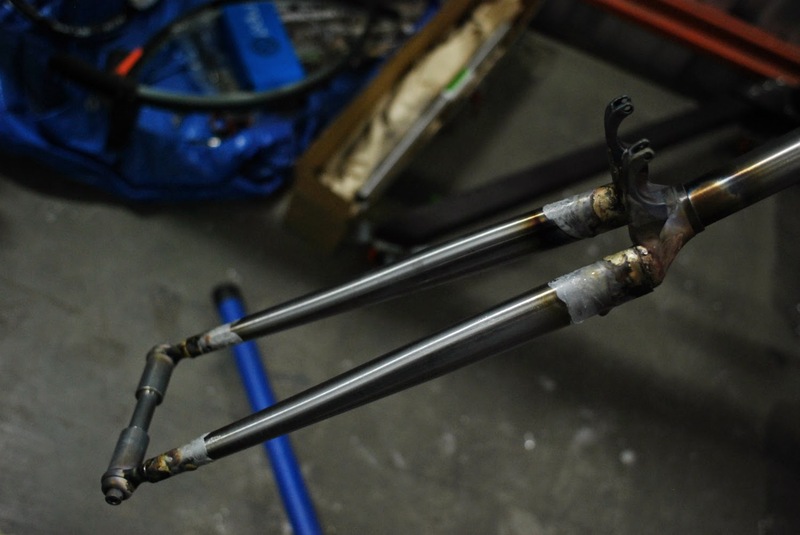 I was able to do the dropouts and the blades, but the steer tube is just hanging out, though it's in there tight enough that it's not going anywhere. 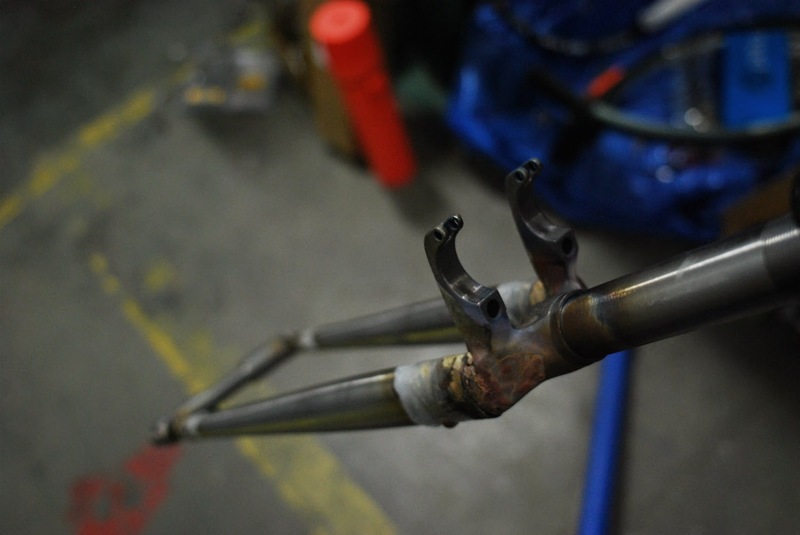 Brazing was like brazing any lug or dropout - nothing weird or out of the ordinary. I whorked together a pretty basic fork without any problems, which is definitely a good sign. The longest part of the process was honestly all of the machining. So far, everything is working nicely. Next week I'll try adding a crown race and seeing what everything looks like then. The dummy axle will hang out a bit until this test is finished. 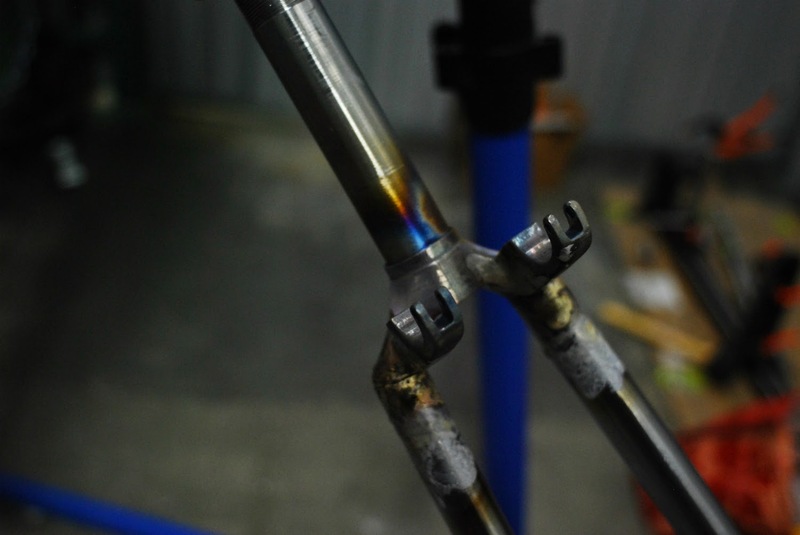 I sort of made a pseudo Takhion fork today. Today was a good day.